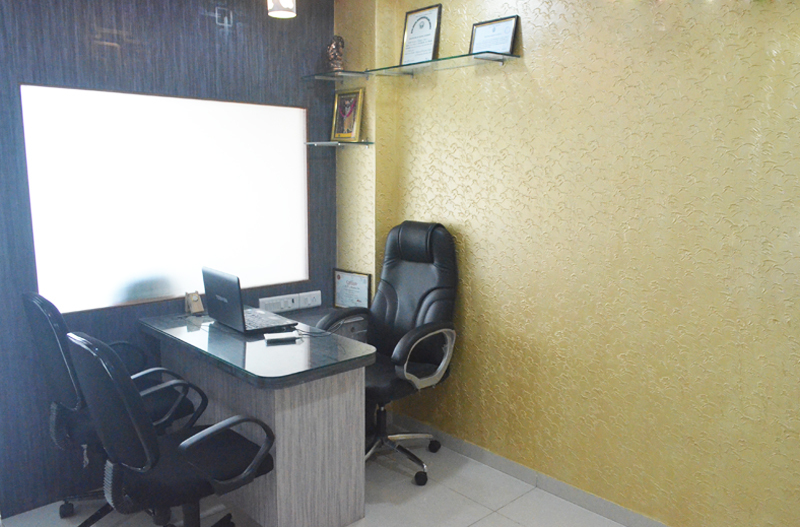 As technology makes giant strides to improve our lives, we should be following its lead. 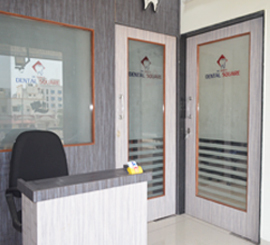 We, at Dr. Shah`s Dental Square, firmly believe in this and are thus equipped with latest equipment and materials available. 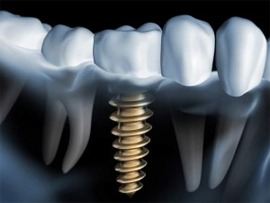 Dental implants are the latest technological advancement in dentistry. 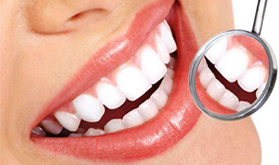 With this remarkable technology, patients can achieve a beautiful smile while replacing one or more missing teeth. 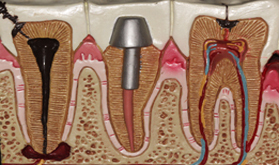 Once the dental decay involves the pulp - the innermost layer of a tooth, it gets infected causing severe pain. 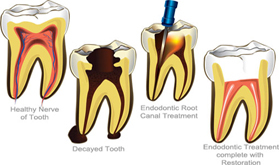 The aim of the root canal treatment is to remove the infected pulp by cleaning and shaping the root canals and then sealing the canal with a filling material. 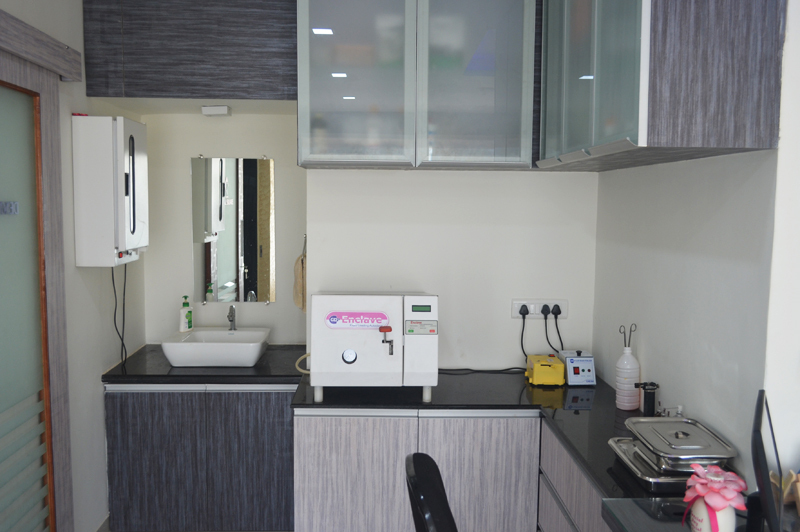 The root canal treatment at Dr. Shah's Dental Square is performed with its state of the art, latest equipment to ensure greater comfort and safety of our patients. 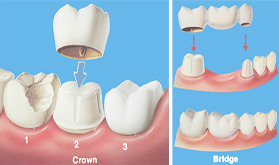 A dental crown is a cap that covers a damaged tooth to protect remaining tooth structure. 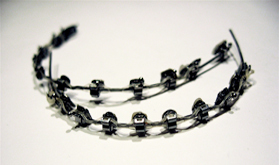 And a bridge is a prosthetic replacement of missing tooth / teeth by taking support from the adjacent natural teeth. 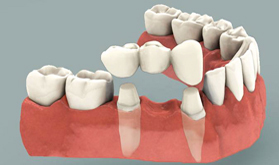 The bridge is permanently cemented to the supporting teeth. 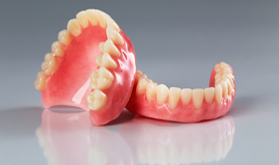 Dentures are removable prosthetic appliances that replace all or few missing teeth in your jaw. 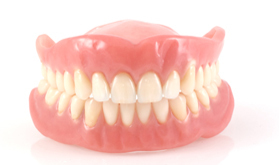 If all the teeth are replaced it is called a complete denture. 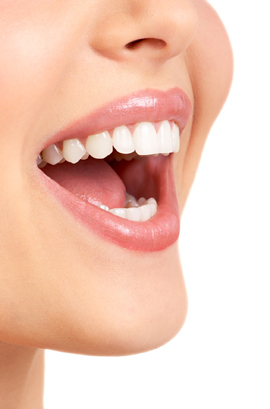 If only some of the teeth that are missing in your jaw are replaced it is called a partial denture. 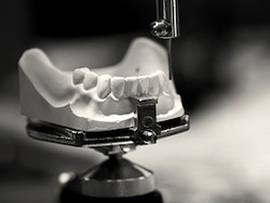 Get top quality dentures made by our denture specialist today. 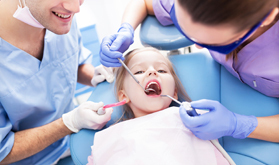 Early checkups help prevent cavities and tooth decay, which if untreated can lead to pain, trouble concentrating and other issues. 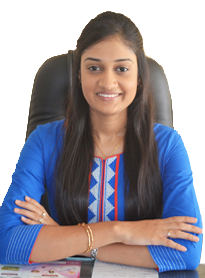 Youngsters with healthy teeth chew food easily, learn to speak clearly and smile with confidence. 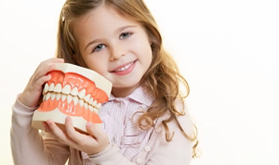 Get your child`s dental checkup done today at Dr. Shah`s Dental Square and gift him a beautiful healthy future. 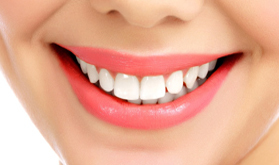 A smile makeover is the process of improving the appearance of your smile through one or more cosmetic dentistry procedures, such as dental veneers, composite bonding, tooth implants and teeth whitening. 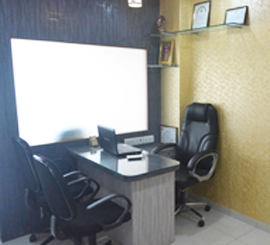 Get your smile assessment done by our smile experts. 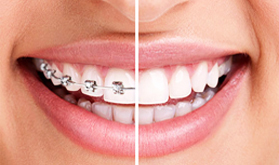 Dental braces (alias orthodontic braces or braces) align and straighten teeth and help to position them in a most functionally and esthetically stable position. 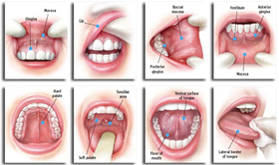 They are often used to correct under bites, malocclusions, overbites, cross bites, open bites, deep bites, crooked teeth, and various other flaws of the teeth and jaw. 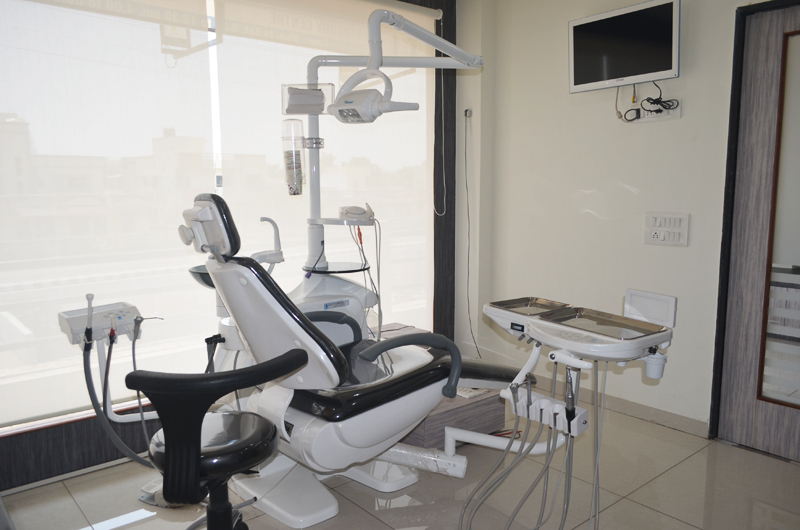 Book your appointment now for well aligned, functional and healthy teeth. 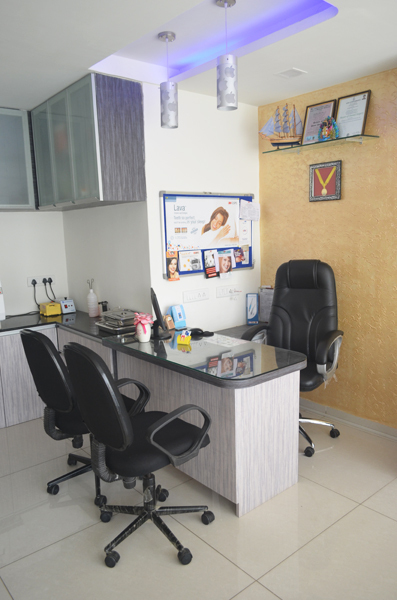 We carry out rehabilitation of head and neck cancer patients with obturators, guide plane prostheses, speech prosthesis, etc. after surgery has been done. 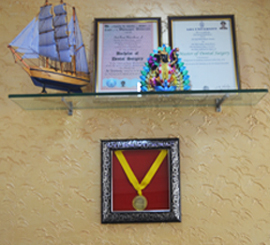 Implant retained maxillofacial prostheses (intra-oral & extra-oral) are also fabricated in patients requiring this modality of treatment. I talked to him about implants as well as all teeth work to be done. I am very happy for the great job he has done. 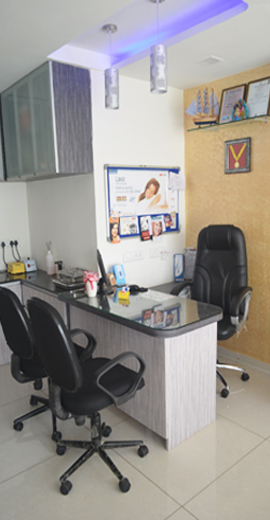 Guys this is very good place for dental treatment. 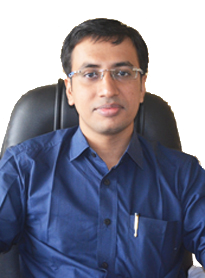 Doctors are very good in nature and they are very friendly. 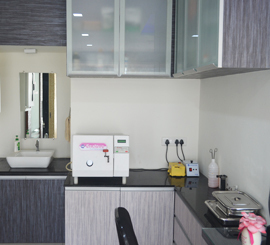 I was always afraid of dental treatment. But experience here made me forget my fears. Would definitely recommend it to others. 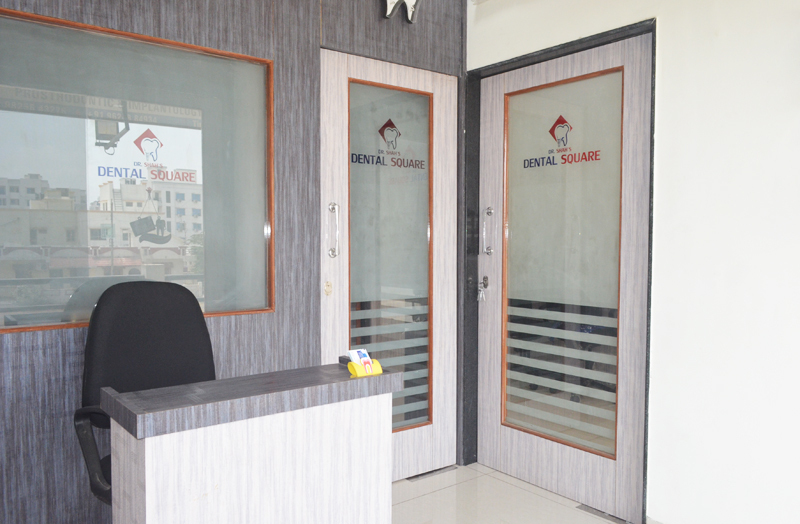 Welcome to Dr Shah's Dental Square a friendly and modern dental practice situated in Vadodara (Gujarat, INDIA) where we make sure you get a new reason to smile every day. 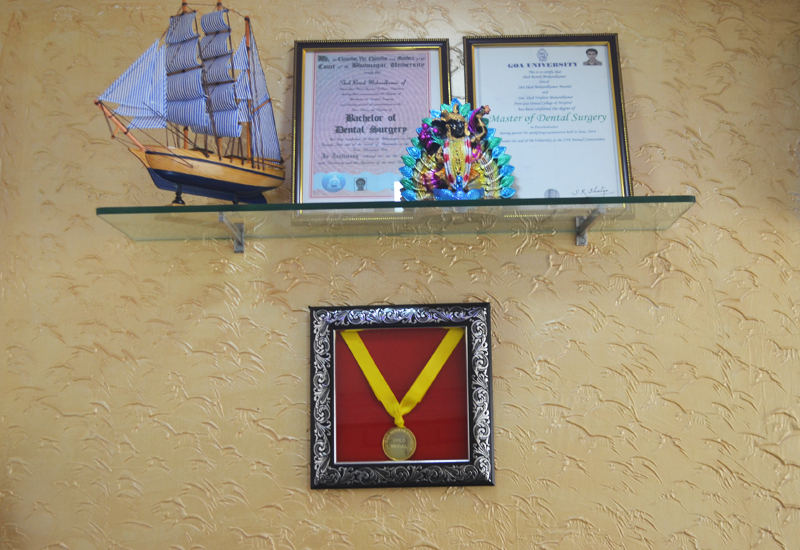 Copyright © Dr. Shah's Dental Square. All rights reserved.